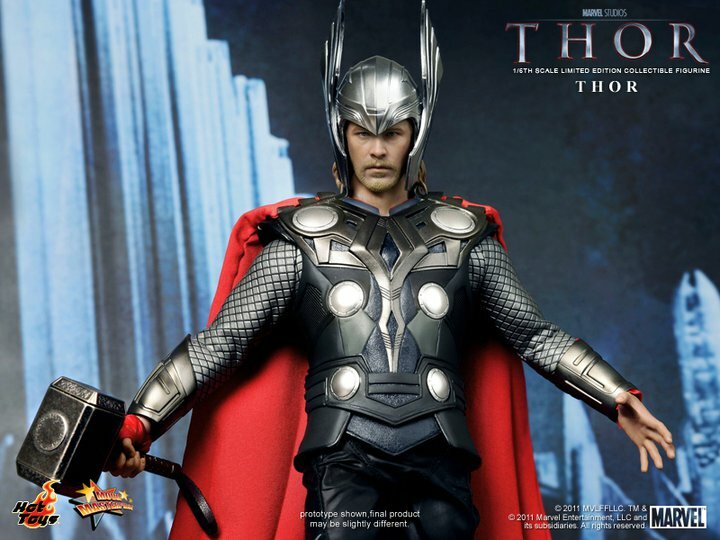 So everyone is wondering how will Thor look like if he is wearing his helmet on the upcoming movie. Yes we've already seen the helmet in some comic conventions, some concept artwork and that short side view clip of Thor taking it off but we never actually saw Thor wearing it. The trailer never showed us a clear full clip with him wearing it since maybe they think it is spoilerish. 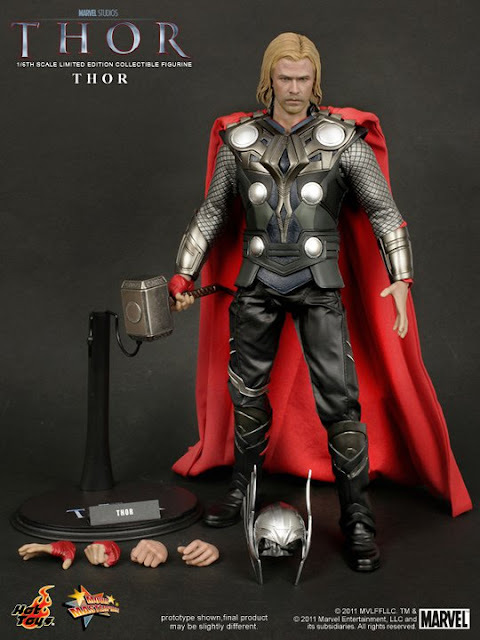 But they failed because Hot Toys just released some preliminary shots of the upcoming 1/6 figure Thor toy of course with the Helmet we've been longing to see. 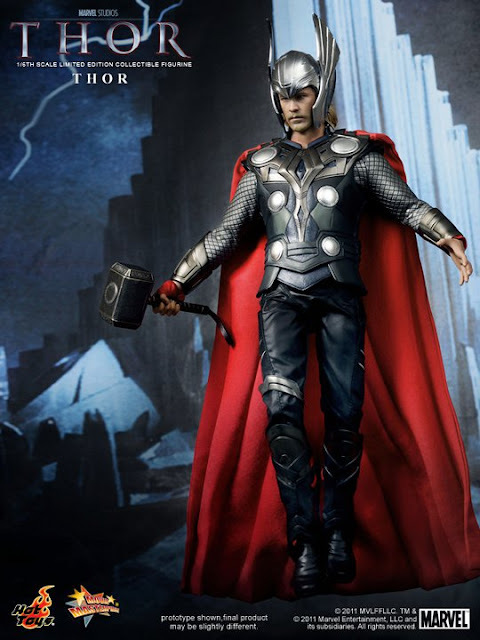 Hot Toys is proud to present the collectible figure of another superhero from the MarvelStudios – the 1/6th scale Thor Limited Edition Collectible Figurine from the upcoming Thor movie. The movie-accurate collectible is specially crafted based on the image of Chris Hemsworth as Thor in the movie, highlighting the newly developed head sculpt, highly detailed costume, accessories and weapon. Wow, for years that I'm holding back to get a Hot Toys figure. Maybe this time I will be saving a lot to get this one. And if I'm a little bit lucky, maybe I'll also get that Iron Man Hot Toys. @azrael yun din ang comment ko sa Helmet. Nagmukha tuloy siyang payat.